Steffan Arctander describes the aroma of the Basil Essential Oil as “sweet and spicy, slightly green, fresh with a faint balsamic-woody undertone and a lasting sweetness.” Generally speaking there are two types of sweet basil; Mediterranean type and Reunion type. However, this herb has been hybridized extensively producing many unique nuances. The Mediterranean variety, also called true sweet basil, contains higher percentages of the natural constituents, cineol and d-linalool. The reunion variety is higher in methylchavicol. This is the Mediterranean variety. Sweet basil essential oil contains numerous health-promoting properties that can relieve headaches and migraines. According to Dr. Jae B. Park's research for the U.S. Department of Agriculture, sweet basil is anti-inflammatory to bring down swelling, antiemetic to ease nausea that might accompany your headaches, antispasmodic to help spasms causing a headache and analgesic to relieve your pain. To use basil essential oil when you have a headache, simply smell the oil from the bottle, put it in a diffuser, or for migraines, put some in the palm of your hands and cup them over your nose (inhaling through your nose and exhaling out your mouth). While you might not think the smell of basil will have any effect, the scent of essential oils travels to the limbic area of your brain and your brain releases chemicals in response. In the case of basil, your brain will release chemicals to stimulate and relieve pain. If you prefer, add one drop basil oil to 1 tbsp. carrier oil, such as fractionated coconut oil, and massage the blend into your temples, along the hairline of your forehead, and at the brainstem area of the back of your neck. Dilute basil in a carrier oil 1:1 before applying it to your skin. Inhale the aroma for a time, every ten minutes, until the migraine is gone. Basil has been widely used by ancient cultures such as India for medicinal purposes (Ayurveda). The herb was used for diarrhea, coughs and mucous discharges, constipation and indigestion, and skin diseases. This is the better type of basil to use on children; properly diluted, of course. * Cosmetics: Basil essential oil is used topically to massage the skin. It enhances the luster of dull looking skin as well as hair. As a result it is extensively used in many skin care supplements that claim to improve the tone of your skin. It is also used for acne and skin infections. * Digestion: Basil essential oil is also used as a digestive tonic. Since basil oil has carminative properties, it is used for treating indigestion, constipation, stomach cramps and flatulence. It provides immediate relief from the gas in your stomach and intestines. It is also colic and hence is used for bowel pain. 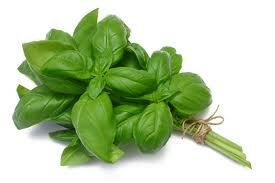 * Cold: Basil essential oil is effective in providing relief from cold, influenza and associated fever. Due to its antispasmodic nature, it is used in case of whooping cough. * Respiratory: Apart from its usage in cough, it is used for asthma, bronchitis, and sinus infections. * Infections: Basil oil is good for treating a variety of infections such as cuts, wounds, skin infections, bladder infections, etc., due to its antibacterial properties. It is also good for viral infections. * Stress disorder: Basil essential oil has a refreshing effect and hence it is used for treating nervous tension, mental fatigue, melancholy, migraines and depression. Due to this calming nature of basil essential oil, it is widely used in aromatherapy. It regular use gives mental strength and clarity. * Blood circulation: Basil oil improves blood circulation and thus helps in increasing the metabolism. * Pain relief: It is analgesic and provides relief from pain. Hence it is used in arthritis, wounds, injuries, burns, bruises, scars, sports injuries, sprains, headaches, etc. * Eye treatment: It is ophthalmic and hence relieves bloodshot eyes. * Anti vomiting: Basil essential oil can be used as an anti vomiting agent in motion sickness and many other vomiting cases. Basil essential oil is also a good treatment for itching from bites and stings from honey bees, insects and even snakes. Other uses include curing motion sickness and vomiting. Warning: Although they are natural, essential oils can occasionally have side effects when used improperly and can sometimes cause allergic reactions. Specifically, basil is known to aggravate sensitive skin. If you use basil topically, test a small amount of diluted (1:1 with a carrier oil) essential oil on your skin for a reaction before applying it to a large area. Basil can also overexcite you or, conversely, cause you to feel tired and cloudy if you use too much. Consult a certified aromatherapist for more information on basil and its proper uses. This oil and basil in any other form should be avoided by pregnant and breastfeeding or nursing women. On the other hand, some people suggest that it increases milk flow.